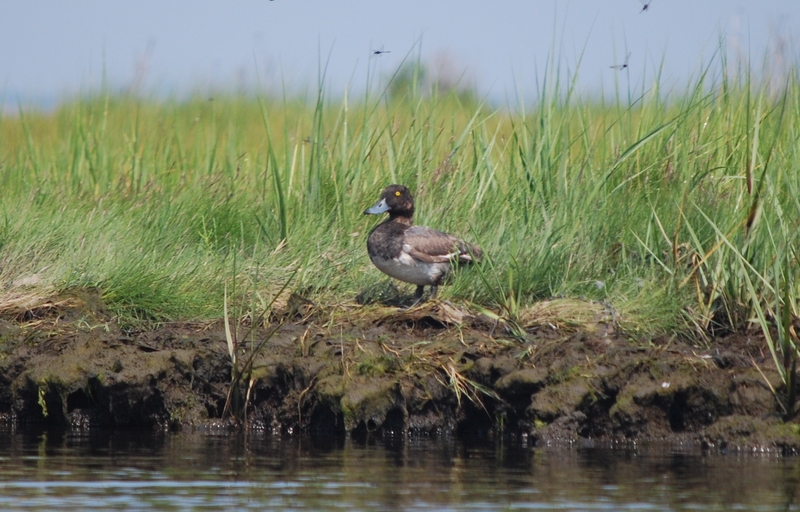 So far at Island Beach State Park, this year, we had two Birding-by-Kayak trips sponsored by Conserve Wildlife Foundation of NJ and they were a huge hit. The highlight, was a Greater Scaup which was present on both trips in the same location in the little cove called, “Spizzle Creek.” This bird should be high in the northern latitudes at this time of the year on it’s breeding grounds. Instead it did not make it up there this year due to many possible causes. We also had a Turkey Vulture fly right over us on the Sedge Islands, which was a first for me there and many others for that location. It was a strong west wind that day, which most likely brought the vulture all the way to Island Beach. Herons, egrets, warblers, flycatchers and terns were plentiful on the tours. Two weeks ago, we also had the first of the migratory shorebirds showing up on the sandbars and mudflats to refuel for their journey back south to their wintering grounds in the southern U.S, Mexico, and Central and South America. More and more shorebirds are trickling into the area each day! Conserve Wildlife Foundation is partnering with Island Beach State Park and The Friends of Island Beach this year to help keep these wonderful tours for years to come. There are many more birding tours available at the park this summer, so all you have to do is sign up and you are on your way to a learning adventure at a beautiful location! 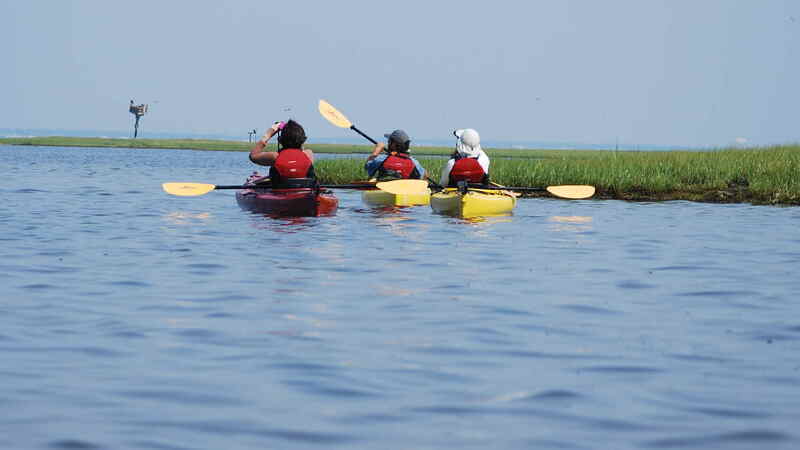 There are 3 more “Birding by Kayak” tours being offered this season. August 18; September 1, 15. Cost is $25. To sign up call Kathy at 732-250-6314 or email her: D-Kathy@live.com. 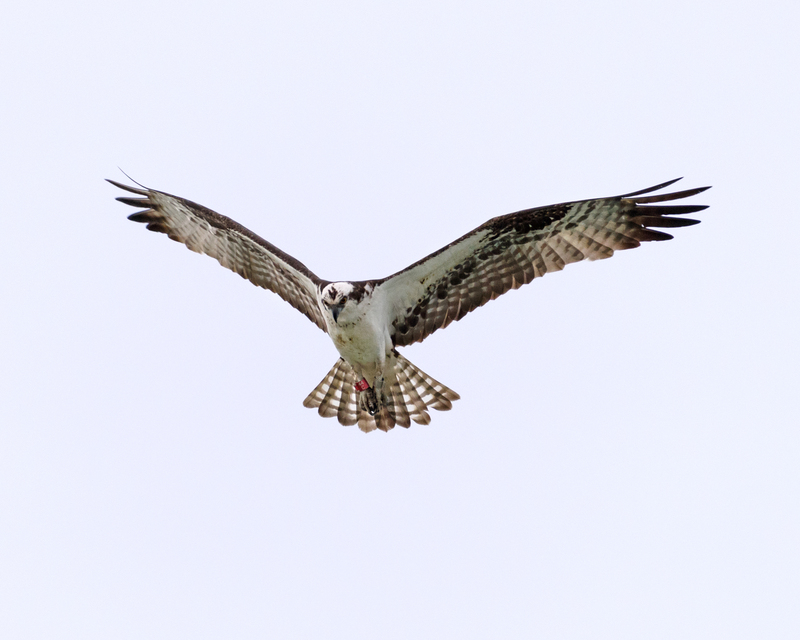 We are also offering two great birding programs for both beginner and advanced levels of birdwatchers. The Beginner program on August 25th, will show participants how to properly use binoculars, and learn how to use field guides to identify the birds they are seeing. 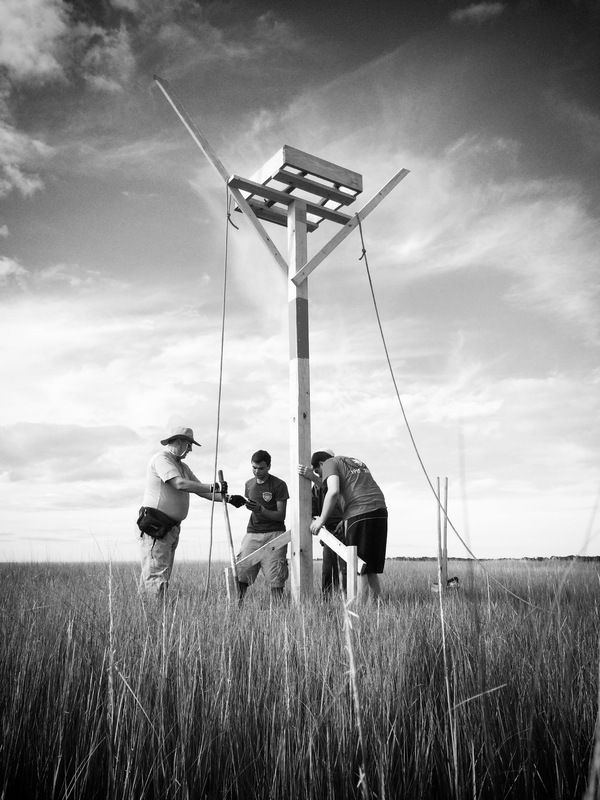 The Advanced program will focus on tackling the identification of the many shorebirds that will be present at Island Beach. That program is offered on July 28th and August 11th. The Cost is free. Please preregister by calling the nature center at Island Beach at; 732-793-1698 or email: ibspnature@netcarrier.com. We hope that you join us for an unforgettable experience at Island Beach State Park!